Fill out the form to download your copy of the webinar! The EU General Data Protection Regulation is the most significant change in data privacy regulation in 20 years. In short, it will establish new standards on how organizations collect, process, and share information about employees in Europe. Non-compliance could cost your organization 4% of revenue. Is your organization GDPR-ready for the May 25th enforcement date? Join Ann LaFrance, co-chair of Squire Patton Boggs’ Global Data Privacy and Cybersecurity, and Dr. Janet Walsh, president and CEO of Birchtree Global, for a discussion on the key features and processes of this legislation, and what this means for your organization's recruitment and HR functions. Ann LaFrance is a partner in the London office of Squire Patton Boggs and co-chairs the firm's global Data Privacy & Cybersecurity Practice Group. Drawing on more than 25 years of experience in the area, Ann advises a wide range of clients on the EU's evolving data protection and e-privacy rules, including issues related to compliance, contractual matters, due diligence, investigations and public policy at the EU and Member State levels. Ann is currently leading a number of pan-European and global projects focusing on compliance with the EU General Data Protection Regulation. She also advises clients on issues relating to international data transfers, processor agreements, data breach preparedness and response and compliance with sector-specific rules affecting the ICT industry, including encryption and lawful access and interception. 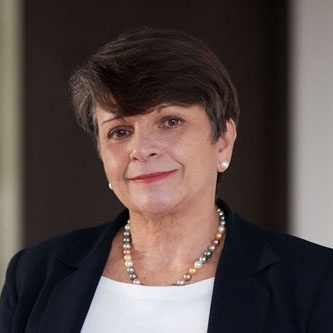 Ann began her law firm career in Washington DC in the 1980s, where she worked on various matters involving international transfers of personal data, including financial data. From 1996-2004, she served as Chief International Counsel of MCI Communications Corp. (now Verizon), based in Brussels and London. In that role, Ann was responsible for developing the company's policies for implementing the EU General Data Protection Directive and the e-Privacy Directive and oversaw the company's compliance programme. 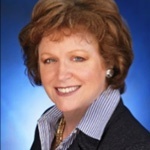 Janet Walsh is the CEO and president of Birchtree Global. She is a leading expert on globalizing business strategy and market entry. Her on-the-ground experience in over 80 countries and C-suite executive experience in large multinationals brings a practical approach to global startup challenges. For 19 years Birchtree Global has helped companies globalize their strategy, business and people.